The trout are moving shallow as the water continues to cool. Bank fishing is getting better and is usually good throughout the winter. The Department of Fish and Game has been planting fish at New Melones this last week, and will continue planting fish through the winter. Each year many planted trout and quality holdover trout are caught on bait, particularly Power Bait Dough, Power Eggs, marshmallows, and crawlers. With some many options choosing the best combination for the day can be tough. On some days fish really hone in on one color versus another. The best way to determine what color the fish are targeting is by using multiple colors until the fish tell you which color they prefer. 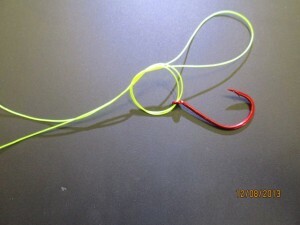 Here is a good way to use multiple colors and baits. 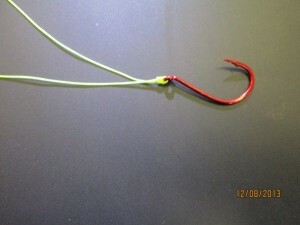 It is a standard bait rig with two hooks. 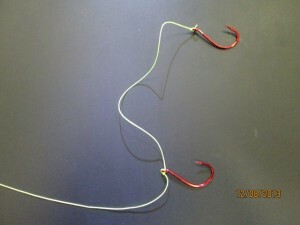 Simply setup what would be a standard single hook bait rig. 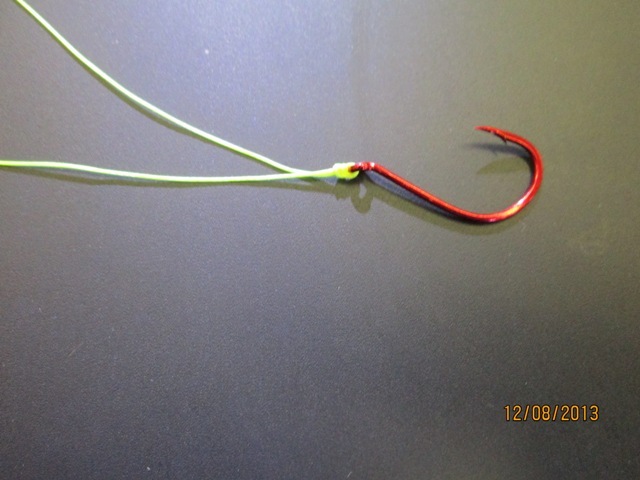 Once the hook is tied, instead of cutting the tag end off, run the line back through the eye of the hook. Then tie another hook to the end of the tag. Step 1: Double the line and form a loop three to four inches long. Pass the end of the loop through the hook’s eye. Step 2: Holding the standing line between your thumb and finger, grasp the loop with your free hand and form a simple overhand knot. Step 3: Pass the hook through the loop and draw the line while guiding the loop over the top of the eyelet. Step 4: Pull the tag end of the line to tighten the knot snugly. 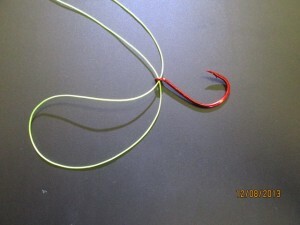 Step 5: Instead of cutting the tag end off simply run it back through the eye off the hook. 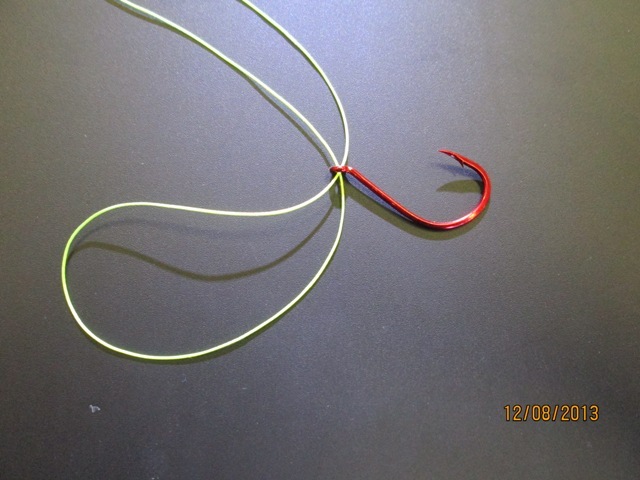 Be sure to leave a long enough tag end to tie on the second hook. Step 6: Tie your second hook to the end of the tag line. Experiment with various leader lengths. 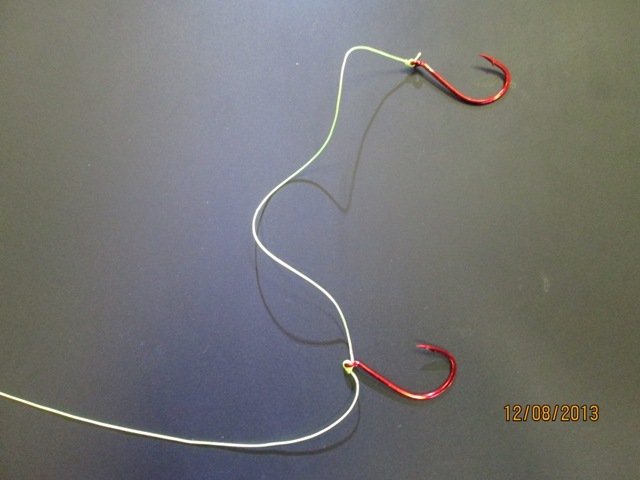 Different lengths will work better depending on what type of bait combination is being used. 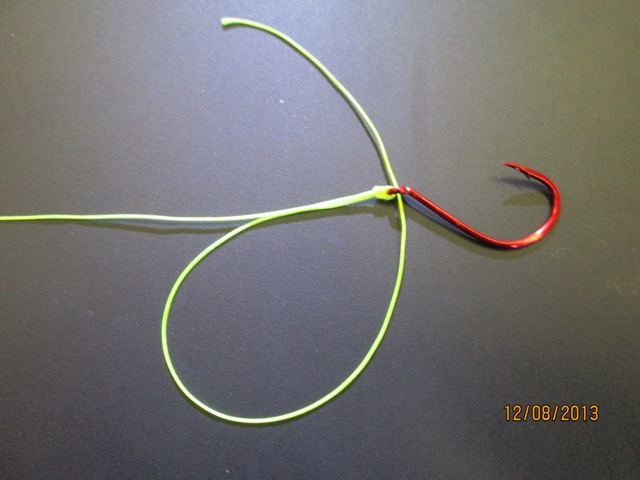 Use baits that float. Marshmallows, Power Bait, and Gulp Eggs are all good choices. Mallows work well and will easily float a crawler. 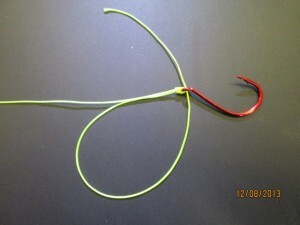 Use small light wire hooks or egg style hooks to ensure both baits will float. 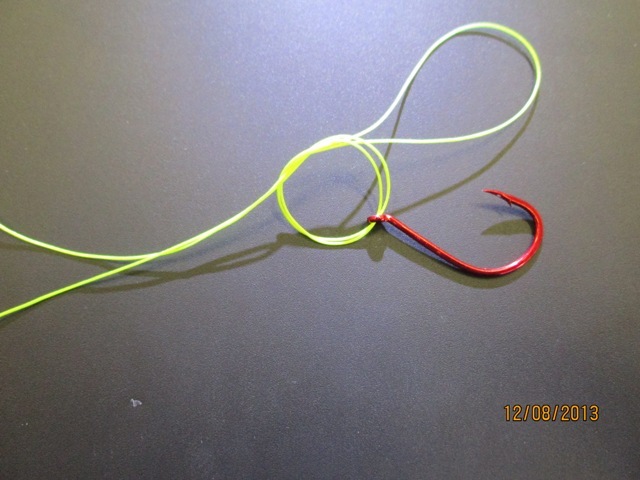 Always check to see if both baits are floating before making a cast. Another thing that is very important is proper line selection. 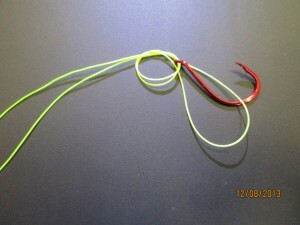 For this setup monofilament is a better choice than fluorocarbon because monofilament will float and fluorocarbon sinks. It is a good idea to carry leader spools of both kinds of line. 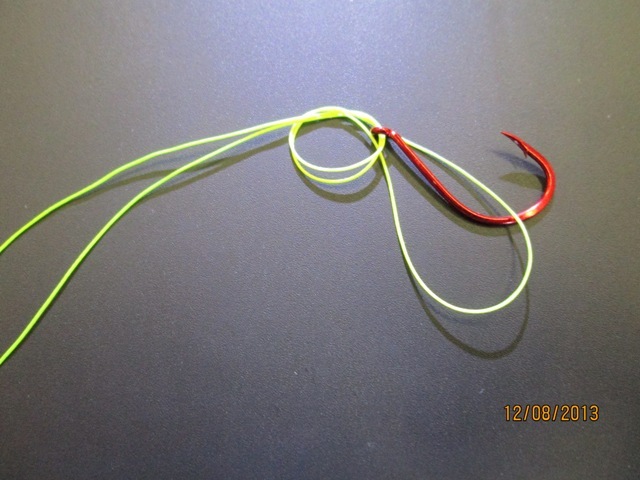 Use the lightest line possible without risking losing fish. Generally 4# and 6# are light enough yet strong enough to land quality fish. 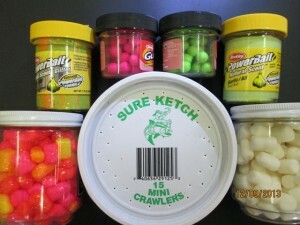 Mix and match colors and baits until you find a combination the fish can’t resist. Be sure to purchase a second rod stamp to offer even more variety on each outing.